Indigenous resistance to extreme extraction in Canada – viva resistance to settler colonialism! A recent report by the Asian Development Bank predicts problems for Asian countries resulting from galloping increases in energy needs. According to the report, Asia consumed 34 percent of the world’s energy in 2010; based on the current growth rate, this figure will rise to 56 percent by 2035, the report predicts. Serious implications here: Asia’s limited fossil fuel resources mean that most countries there will not be able to produce half of the energy they need by 2035, the report says, adding that Asia will heavily depend on imported fuels, in particular, foreign oil. With only 9 percent of proven global oil reserves, the report says, Asia (excluding Middle East countries) is now on track to almost triple oil imports by 2035. There is likely to be a great deal of global jockeying and rising inter-imperial tensions over oil supplies as a result. 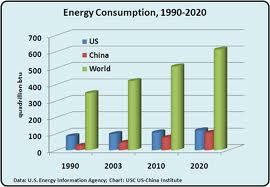 The impact on the people of Asia of all this fossil fuel consumption is also extremely serious. Levels of pollution in Beijing reached record levels this winter. The air is almost unbreathable. In addition, many of the great and growing cities of the region are extremely vulnerable both to water shortages and to flooding and other “natural disasters” resulting from climate change. It is therefore not so surprising to find China experimenting with various green capitalist attempts to reduce greenhouse gas emissions. As this article details, the industrial city of Shenzhen recently set up the first carbon trading regime in China. 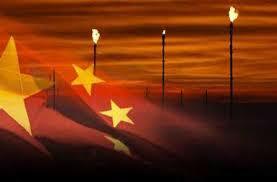 But carbon trading has not worked in Europe, and it is not likely to work in China or Asia in general. 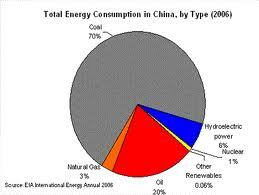 China is trying a variety of other strategies to reduce energy consumption and pollution, but, given its massively increasing power needs, it seems that truly sustainable solutions are not going to constitute a significant part of the solution. As the graph at right suggests, such renewables supply only 0.06% of the nation’s energy needs (as of 2006). Coal supplies a shocking 70% of such needs. Yikes! Sustainability is a fuzzy concept. First gaining widespread attention in the Brundtland Commission’s report Our Common Future, the terms has become wildly popular: it’s used in nearly 9 million websites. Humanity has the ability to make development sustainable—to ensure that it meets the needs of the present without compromising the ability of future generations to meet their own needs. The key term in this definition – needs – is of course highly fungible. One person’s need is another persons rampant luxury. The term sustainable may, however, still have some traction. There’s a good history of the term available here, which links it to the fight against fascism and nuclear annihilation in the mid-20th century. 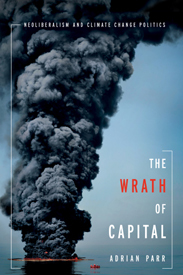 In addition, a group of progressive NGOs just published a document that contains provisions such as the “Polluter Pays” principle that, when applied to entities such as big banks and financial organizations, offers quite a radical redress to the inequities of neoliberal capitalism. Their draft paper, Towards a Framework of Universal Sustainability Goals, offers some food for thought, as well as an interesting snapshot of the limitations of even the most progressive environmental NGO discourse.